Well, it looks likely we'll have a new tax replacing both IMU and TARES (rubbish tax) next year called TARIS. The IMU replacement is called TASI and the TARES replacement is called TARI. The TASI component will go 100% to the comune. It will also be payable by the owner and the tenant in a proportion between 90:10 and 70:30 respectively to be decided by the comune. It seems the TARI will be payable by the tenant as now. Of course this could all change. The comuni can varie the rates but the total must not exceed the old IMU rates plus 0.1% (ie max of 0.7% and 1.16%). It looks like the TASI will be based on the cadastral value (like IMU) but the TARI will be based on the sqm (like TARES) just to make the calculations complicated! The rates bandied about were 1 per 1,000 or 0.1% for TASI and €0.30 per sqm for TARI. No news on reductions or exemptions. We'll have to see what exactly comes out of the discussions this week but one thing looks pretty certain and that is the end of IMU. We don't know if the IMU on the prima casa will stay suspended. They reckon the law will be finalised by Tuesday so watch this space. Superb info, so next Tuesday is 'the' date? Call me a n old skeptic, but when they say it 'll be finalised by a certain date, I somehow know it wont as some will disagree with it and then back to the drawing board. It looks like the second payment of IMU in 2013 will be scrapped (all subject to approval at this stage). The TARI (refuse) element will be payable on all properties and the TASI (IMU) element will also be payable on all propertis but individual comuni can choose to remove it from prima casa, give discounts etc etc. That will be quite different to now where the comuni had little flexibility. It looks like you will be able to pay for it in 4 installments (like TARES). TARI (refuse) will be calculated on the sqm of the property combined with the number of people in the property and will be paid 100% by the person living there (tenant, owner etc). TASI may be based on the sqm or the cadastral value, revalued upwards by 65%. The majority will be paid by the owner of the property with the resident (tenant etc) paying the remaining 10-30% The exact amounts and basis are the decision of the comune. Here is the sting in the tail - in 2014 IMU will still be due but is likely to stay suspended for prima casa. So to make up for this the government will allow the comune to collect TASI as well as IMU in 2014. This means even if you pay no IMU in 2014 you will need to pay TASI. The second sting is that you will now go back to paying IRPEF on your empty properties. The tax will be paid on the revalued cadastral value of your property (ie multiplied by 65%) times 50%. This could mean that holiday home owners who have not had to file an Italian tax return for a few years may need to do so again from 2014. On TARI there will be discounts for recycling, people who live there less than 6 months of the year and interrupted services. Just for clarification - it looks as if the prima casa 2013 exemption from IMU will be confirmed for the whole of 2013. The IMU second payment for 2013 remains for seconda casa as far as I have read. I'm a simpleton in these matters but thought there might be interest in my example. I've just received the info from my comune in Carassai. I was exempt from IMU due to small apartment (84 sqm) and being a pensioner living alone but did pay €79 rubbish tax. Taris now comes in at €129, payable in monthly instalments of Nov (€35), Dec (€60) and Feb (€24). There are no longer any discounts apart from disabilities - not sure what comes under this. I have been told at the commune that €104 goes to them and €25 straight to the government. Hazy wrote: I'm a simpleton in these matters but thought there might be interest in my example. I've just received the info from my comune in Carassai. I was exempt from IMU due to small apartment (84 sqm) and being a pensioner living alone but did pay €79 rubbish tax. Taris now comes in at €129, payable in monthly instalments of Nov (€35), Dec (€60) and Feb (€24). There are no longer any discounts apart from disabilities - not sure what comes under this. I have been told at the commune that €104 goes to them and €25 straight to the government. 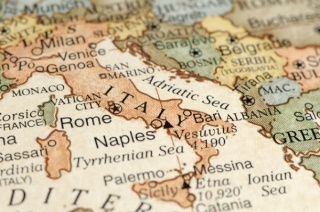 Nobody likes to have to pay more and it will certainly be difficult for some people; however, comparing with what is being paid in some countries for similar charges, Italy is not too expensive. On the other hand, I recently read a Facebook entry stating that businesses are going to be severely hit, mentioning that the increases on the old TARSU will mean paying 482% more in the case of trattorie and pizzerie, 650% more to fruit and vegetables shops and 680% more for discotheques. Now, this is a HUGE increase for businesses that have been already affected by the current crisis. Absolute insanity! Many will not survive. And this will not help the recovery of the Italian economy. Steve, I agree that some individuals are going to be greatly affected; however, most of them will not be paying IMU (providing that the government does not think otherwise) or they will receive substantial reductions on it, something that does not happen in other countries, where many pensioners pay property taxes, some of them quite substantial. But my point is that the disproportionate increases for businesses is just crazy. Five, six, seven times what they have been paying? At a time when many of those businesses are barely surviving or closing down? Yes, some of those businesses generate rubbish and that must have been taken into account in the past. But a disco paying more than a restaurant? Who can justify that increase? Most of them will be small businesses, the backbone of any economy. The government should look first at reducing the number of politicians and their privileges. Am I wrong? Gala, are you wrong - well probably! That's likely the kind of answer a politician would give you these days... 5,6 or 7x nothing is not a lot... I did say I don't have a clue what they pay now. I certainly would agree with you that restaurants would be in the same boat. Hazy has said they paid €79 rubbish tax and no IMU, now they will pay €129 for both... A 63% increase, so nothing compared to my local fruit&veg shop. Hopefully Hazy does not have a problem dealing with the rise, but I know my local fruit&veg shop will still be there next year - I'll just be paying a little more (well if I can't grow it). Look here. in the grand scheme of things if you compare what you pay in Italy to what you would pay in the UK, I think we have no need to complain at all. For one when we had a house in the UK we paid circa £1300 a year for house and rubbish, we now pay about €150 for everything.. I know businesses here get clobbered for taxes but compared with other EU countries it is about the norm and in Italy it is certainly less than the UK inclusive of rates. Unfortunately in Italy there is a culture of trying to avoid paying taxes whatever they are, whether it will help the community or otherwise; a very British 'I'm alright Jack' attitude if eve I saw one. In real terms however if Italy is to get back on it's feet again and pay for the much needed infrastructure it needs then taxes have to be paid whatever the short term cost. Two things to chuck in the mix. You get what you pay for - or rather you don't. You dont pay as much in Italy as in other countries, but what do you get in return? Very little. And if you did pay more, would it come back to the citizen, or would it go in vastly inflated bandi and gare to the usual suspects? Also TARSU is calculated on your square metrage that is all, it cannot be business dependent - so a big shop pays more than a small shop, that is all - and that will still be the case next year. I agree, Modi, we do not know where the money goes. Transparency is needed. But who does it harm most? But my point is to whom does it do the most harm? I don't really know the answer to that, but I do know there are a lot of people out there making a great deal of money on the back of it and that they are most often the biggest tax avoidance group by a long way. modicasa wrote: Two things to chuck in the mix. You get what you pay for - or rather you don't. You dont pay as much in Italy as in other countries, but what do you get in return? Very little. And if you did pay more, would it come back to the citizen, or would it go in vastly inflated bandi and gare to the usual suspects? Also TARSU is calculated on your square metrage that is all, it cannot be business dependent - so a big shop pays more than a small shop, that is all - and that will still be the case next year. Thanks Modicasa, never thought about the "value for money" aspect of the tax here against say the UK. Does the latter point on the SQM size account for the large figures of increase quoted by Gala? Surely this cannot be the case unless something has changed? If it has then is it not proportional and effective for everyone to the same degree? And yes, Steve, I do believe that there is a lot of tax dodging and cheating; however, would making a full and fair reform of the tax system improve the situation? Perhaps... but I also think that many politicians would not like to see that. He should know? How exactly - there are no official figures of how the new tax will work, proportions, aliquote - anything. All we have is a mild statement from the government which says we will pay less. Thats it - so anything else is hunch, rumour and fear. Oh well, thanks Modi. That clarifies why I could not find further information on the matter. On the other hand, the figues were originally published by the M5S, who may have had some insiders information... or not, and all what they want -as you said - is to cause fear and panic. My point is, that if all of this is true, the increases are going to hit businesses which are barely surviving at the moment. Thanks Modicasa. Only in Italy as they say. I see the indecision by the government as another costly factor. How they are supposed to pass this out to the comunes and/or administer any new scheme is beyond me. Then you have the rush by people having to try to calculate and pay (well those that bother).